Farewell to all my wonderful students! Today was Mr. Hong's last day teaching at Hillcrest this year. I was very sad to say farewell to you all and hope to see you soon! Be sure to keep doing what you have been doing because you have all become efficient learners in the past few months! Help Mr. Stewart by following the R.O.L.E.S. on a daily basis to make his first week a great one! You are being left in capable hands and I am sure you will enjoy learning with Mr. Stewart! If you should have any questions about anything, feel free to email me at either one of my school email addresses. Best of luck to all of you for the rest of the school year! Ciao for now! 1.) MATH 7: Complete your fraction strip booklet. MATH 6: Any assigned work. Check your teacher's website. 2.) ART: If you haven't shared your 'PENCIL TO PIXEL' project or your 'ALPHABET PHOTOGRAPHY' directly with Mr. Hong's Gmail address, please do so right away so you can receive an assessment. I would really enjoy hearing what skills and knowledge you have gained over the last two months. Please write a learning reflection about what you have learned, what you think will help you in the future, and anything else about school you have enjoyed this year. Give two students positive comments on their post. Edit/revise based on the feedback/self-assessment. WARNING - DO NOT WATCH THIS IF YOU ARE SCARED OF GHOSTS! Div. 4 Welcomes Mr. Stewart! Today, we were lucky enough to have Mr. Stewart spend the entire day with us. The students had an opportunity to meet him and learn more about him. The students are all looking forward to learning with him starting next week! Your homework questions and video will both be posted on Friday. Complete your Andy Warhol inspired anime collage according to the criteria you generated. Click here to view the criteria you created. Click here to see Kevin's (former student) Andy Warhol anime art. Don't forget to post a link to your image here when you finish! Simply share your final Andy Warhol inspired anime collage! Do not post a single image of your digital collage like the first few students have done tonight. You need to post a collage of photos that includes your pencil drawn image, and different colour variations of your coloured image. Click here to see an example of something you could create. Remember, you can get creative with this collage. Give two students a comment on a skill you noticed they used in creating their image that you really liked! YOUR FINAL CREATION IS DUE IN THE MORNING! HOWEVER, I'D LIKE TO SEE IT ON TODAY'S BLOG! They also learned a new strategy which was monitoring comprehension. They learned they can do many different things to improve their understanding of what they are reading. This can range from asking someone for clarification to reading ahead, to identifying sources of confusion. To supplement our lesson, the students read an article and completed their visible thinking onto their papers. You must have your individual anime character saved on your Google Drive for class tomorrow. We are on schedule to complete this project by Friday. IT IS CRUCIAL YOU WORK ON IT TONIGHT! 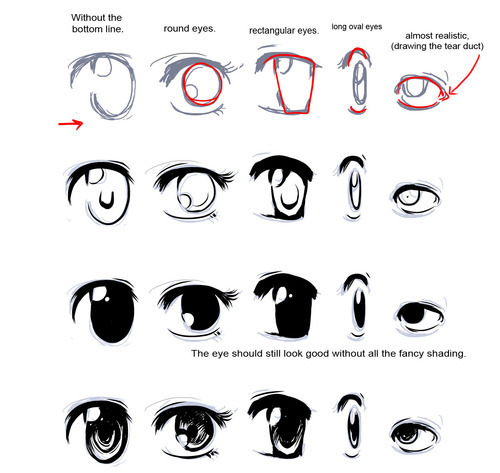 Clean up your lines on your anime art. To do this, remember to zoom in on your character and use the pencil and paint bucket tool so you don't have random coloured pixels near your lines. Try using the paint bucket tool will your zoomed in. Tomorrow, you will work on creating your Andy Warhol inspired portrait. If you are up for the challenge, feel free to try this at home tonight. Feel free to post a link to your anime character that has been 'CLEANED' up. List three different 'MONITORING COMPREHENSION' strategies you used when you read 'WHO IS TERRY' today? Also, explain how each of the three things helped you improve your understanding of something specific from the story. What do you think Terry is? Comment on at least one other person's response. Be sure to provide them with at least one thing to improve on. Do your best to comment on the criteria for today's response. Edit/revise your post based on feedback from others or your self-assessment. 1.) MATH 7: Complete Chapter 2 Lesson 1 textbook questions #1-6 on pg 47-48. Today, you learned more about the elements of art and the principles of design. Click here to review what we learned. When working on your anime art, be sure to keep the elements in mind. For example, line, shape, direction, size, texture, colour, and value. These elements can be found in almost any piece of art. Work on your anime art tonight. Your homework is to make sure you are able to fine line your drawing using PIXLR, and colour your image. If you get motivated, see if you can create something like the examples in class. Read yesterday's blog post for some useful websites you can use to draw your character if you want to draw a different one. Give one student a suggestion for improvement on their picture. As you may have already heard, I will be going on a leave of absence starting this coming Monday, November 2. Your child will likely have given you a letter from the principal today detailing my absence and transition to a new teacher. I have chosen to take a leave of absence to care for my children until next fall. I expect to return to teaching in Surrey in the next school year. Mr. Stewart is the new teacher taking over for me for the remainder of the school year. I will ensure that he is up to speed before I leave; both in terms of what your child has learned, and what the plans are for the rest of the year. In addition, your child's learning plan has already been completed by the Grade 6/7 team of teachers, therefore Mr. Stewart will be fully informed of your child's learning needs. If you have any questions about this, please do not hesitate to contact me or the school administration. It has been my absolute pleasure to teach all of your children this year. I can say without hesitation that your children are a wonderful group of learners and honestly one of the best classes that I have had during my teaching career. Their curiosity and love for learning is amazing! ​I am looking forward to spending the next ten months with my own children however, and hope that you share my happiness in this wonderful opportunity for my family. Please do not hesitate to contact me if you have any questions or concerns. I wish you, and your children, all the best and know that they will have a successful school year. 1.) MATH 6 Wilson: Play the assigned game. Check your teacher's website. Play this game on equivalent fractions and post your high score. Your collages must be shared directly to my gmail address by 8am tomorrow morning if you haven't already done so. Click here to view the learning intentions and the criteria you created in class today. Click here to visit a great website with 'HOW TO' tutorials. Use YouTube as a resource if you want to see how to draw different facial expressions, hair styles, drawing bodies, eyes, noses, mouths, etc. BE SURE TO PROVIDE THE LINK TO THE VIDEO YOU USE FOR YOUR DRAWING. Click here to watch the video we watched in class today. Post a link to your shared manga/anime drawing. Simply take a photo of your drawing and share it via Google Drive. If you have any questions, please post them here. 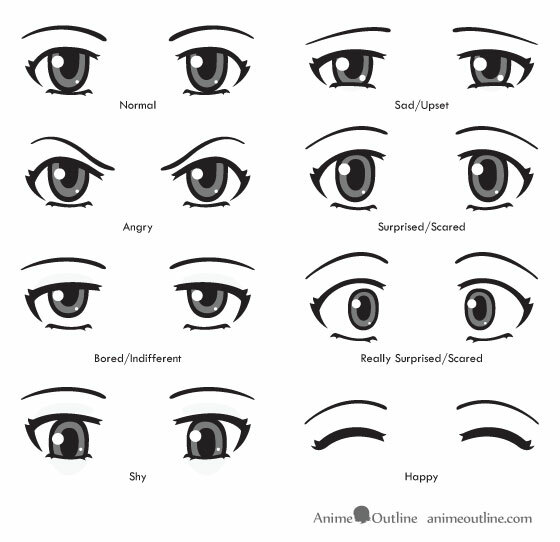 Click here to see some examples of anime eyes. Click here to see more examples of eyes. 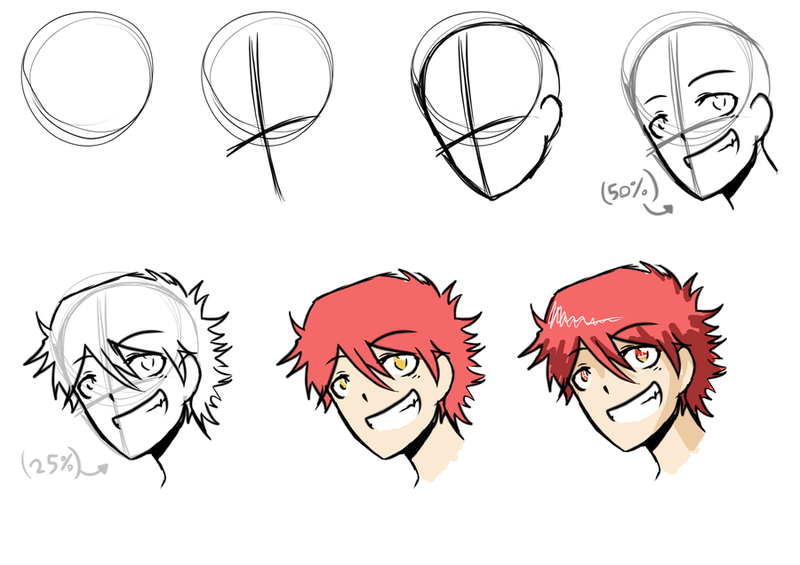 Click here to see examples of how to draw a face. 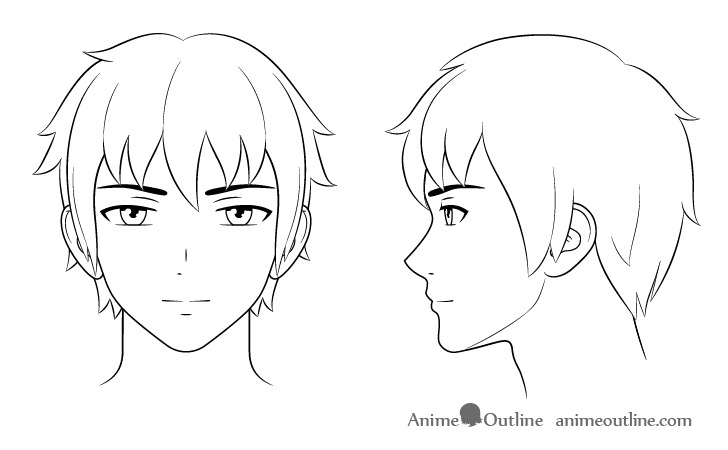 Click here to see how to draw a boy's face step by step.​ Click here to see how to draw a boy's face. 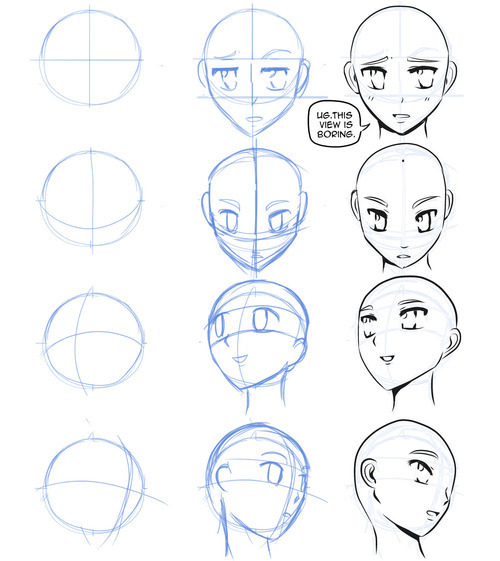 Click here to see how to draw a girl's face step by step. Give two students suggestions on how to improve their drawings. Please feel free to post a message here if there are any resources you would like from one of the workshops you participated in today. Today, you continued learning about different digital tools that you can use to edit, enhance, and manipulate your alphabet photography. Do your best over the weekend to complete all of your edits and to put your collage together using any method you choose. Many students have started using the collage function on PicMonkey to neatly organize their images. You may do this, or use a Google Document or Microsoft word document. Be sure to show your parents what you have been working on. We will frame and mat your images on Monday. 1.) MATH 6: Check your math teacher's website. Chapter 2 Lesson 2 worksheet. Play this Fraction video game and post your top score! LEARNING INTENTION: I can create a collage of unique images using different graphic editing tools. STUDENT GENERATED CRITERIA: a.) Each image must be edited using at least 2-3 different tools (PicMonkey, Pixlr, or any other editing program). b.) Your final collage must look uniform. c.) You must have incorporated the photography skills you learned about at school. d.) Your images should not looked washed out or artificial. Complete all edits and put all of your letters into a collage by using PiCMONKEY, Google Drive/Docs, or Microsoft Word. Post your finished collage here as a shared link that is on 'VIEW' only. Give a positive comment and at least one suggestion for improvement to 2 students on their written work. Edit/revise your work based on your self-assessment or the peer feedback you receive. Today, students continued working on their digital photography and digital editing projects. Students who have not completed taking all of their alphabet photos are required to take them from their homes. Students are learning how to crop, enhance, and manipulate their images to create unique designs. They are learning how to use different tools in the digital medium. We discussed possible career opportunities in this area which included graphic artist, graphic designer, video game designer, advertising, etc. Is this an area that interests you? Parents, ask your child to show you what they have been working on in class. Click here to see their photos (pre edits). Next week, we will be working on the pencil to pixels assignment. As discussed in class, please edit as many of your alphabet photos as possible from home tonight. If you do not have all your letters, simply take photos from home. Use a camera or mobile device to do so. After doing so, upload all your edited images to your 'PHOTOGRAPHY' folder in your Google Drive. Post a link to your shared 'PHOTOGRAPHY' folder with all your edited images. Don't worry if you don't edit all of them, simply share the folder so others can see what you have done so far! To do this, click on the 'PHOTOGRAPHY' folder and then the share button. You will be able to get the shareable link. IMPORTANT - set the sharing to 'VIEW' only! This will make sure nobody is able to add or delete images from your folder in your Google Drive. Post a message here with your link and tell your classmates about two new tools or functions that you used to create some of your edited letter images. Give two students a positive comment and at least one suggestion each. Today, we discussed our classroom economy and the effect of printing off more money in our economy. We used the example of the Chinese government and how they increased the supply of the Chinese Yuan (dollar). Printing off more money will decrease the actual value of it. For example, a $10 Hong bucks may allow you to purchase a pack of gummy bears today. If Mr. Hong printed off more Hong bucks tomorrow and distributed them to the students, the actual value of the Hong bucks would decrease. This would in turn cause the prices of products to increase. Your purchasing power would decrease. Your $10 Hong bucks would not be able to buy that bag of gummy bears anymore. This is called 'INFLATION'. This led us onto the topic of ecosystems and the effect of adding or removing an organism from an ecosystem. We watched and discussed what would happen in this situation. Click here to watch the video. Explain what you learned to your parents. NOTICES: Parents please make sure you return your child's 'FRESH GRADE' form. 1.) MATH: No homework. You will switch teachers tomorrow. Monkey around with PicMonkey.com or Pixlr.com and share your image with the rest of the class on our class site. If you need help sharing your image (only allow people to view your image and not comment/edit). In your comment, be sure to use different tools that you may not have used before. Make sure you are experimenting with different tools today. Feel free to create a Halloween themed image if you like. Share anything cool that you have learned over the last few days. Today, students learned about digital art. More specifically, they learned basic editing functions through a website called PICMONKEY. They learned the following skills: cropping, resizing, rotating, mirroring, saturation, contrast, and highlighting to name a few. For homework, students will continuing editing their alphabet photographs using PicMonkey. Parents, please ask your child to show you some of the skills they learned in class today. Students, feel free to explore the texture, frame, and theme functions on the left hand side of your digital tool bar on PicMonkey. Be sure to complete your 'TEST YOURSELF' worksheet and your Chapter review questions from your textbook. Bring your pencil crayons to class tomorrow. Groups will present their projects in class tomorrow. If you need more time to complete your project, please post a message or email Mr. Hong. Today, I would like you to practice editing your alphabet images through PicMonkey. Click here to access your digital photos. Do your best to use the different functions to highlight the letters you are showing in your photographs. Do your best to enhance your images and don't make them seem to artificial. If you can figure out how to share your image with the rest of the students via Google Drive, post your link here. To do this, you need to upload it to your Google Drive and share it as an open link. Don't worry if you don't know how to do this. Here is a tutorial on how to do it if you want to give it a shot. We will review how to share documents in class tomorrow. Post a message here about the most interesting 3 functions you used on Pic Monkey and explain what they allow you to do.